Stunning, superbly designed and made Australian designer label dress by Covers, who have not been around for many years now... making quality pieces like this incredibly rare. This size 10 dress features cross-banded styling under the bust, squared neckline, dual splits at the back and is fully lined in lush pink faux satin... so smooth against the skin! 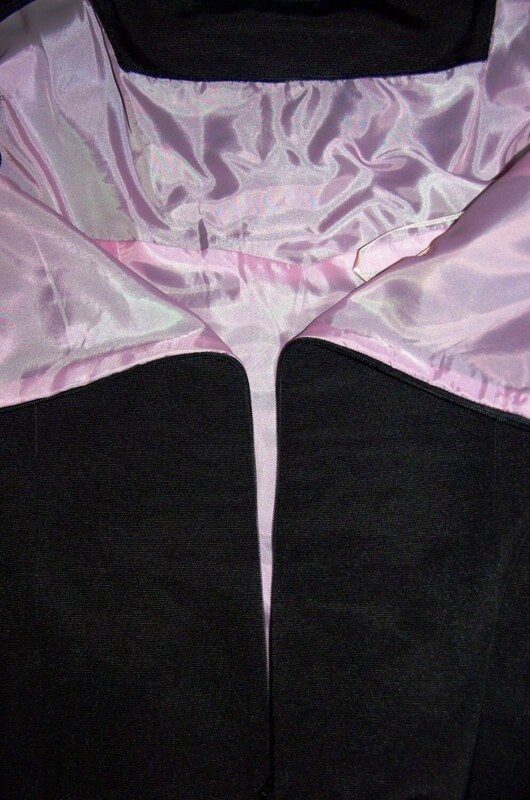 There is not a stitch out of place or any damage whatsoever to the dress itself, however one of the loops that sits inside the shoulder to help the dress stay on the hanger is missing (it appears to have been cut off). Perfect for cocktail parties or any occasion where you want to look a classy cut above the rest.